Egypt’s stock market ended higher on Monday following Finance Minister Amr el-Garhy’s remarks about possibilities of receiving a third loan disbursal worth $2 billion from the International Monetary Fund between December and January. Last week, the IMF approved a second loan instalment worth $1.25 billion. Egypt agreed to a three-year, $12 billion IMF loan programme in November that is tied to ambitious economic reforms such as subsidy cuts and tax hikes. 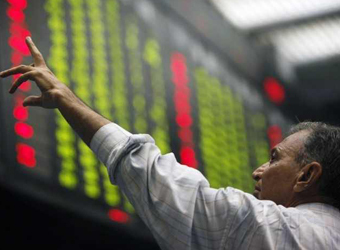 Benchmark index EGX 30 ended Monday’s session 1.02 percent up, closing at 13,956 points. Commercial International Bank (CIB)’s shares (COMI.CA), the heaviest constituent, ended 1.2 percent higher. EGX30’s top performing constituents were: Porto Group Holding (PORT.CA) 5.3 percent up, Juhyana (JUFO.CA) 4.6 percent up, and Amer Group (AMER.CA) 2.9 percent up. Today’s worst performing stocks were: Palm Hills (PHDC.CA) 1.5 percent down, and Madinet Nasr Housing (MNHD.CA) 0.6 percent down. Market capitalisation posted gains worth 3.2 billion Egyptian pounds ($178.1 million), to close at 716.642 billion pounds during the closing session of Thursday. The market turnover was 890 million Egyptian pounds, and local investors were the sole net sellers.